You’ve booked your flight to Ibiza. You’re in your hotel room and ready to get to know the infamous White Isle but where to next? There is so much to see and do here on our beautiful island, but where are the best places to go and where do you even start? In today’s post we are going to tell you about our must-see, favourite venues. From the best nightclubs to wear your favourite pair of dancing shoes to, to the yummiest restaurants, and the most chilled places to relax and wind down poolside. After reading this, we promise you, you will never want to leave. 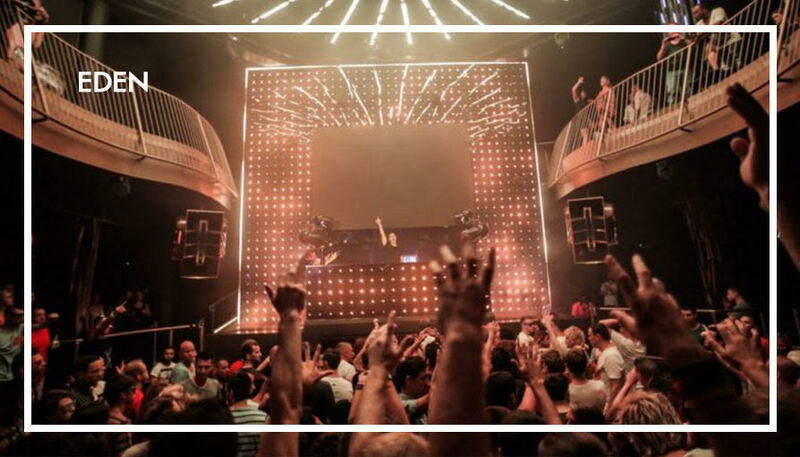 Famous for being situated right by the airport runway, DC10 has become one of the best known clubs on the island. Circoloco, it’s Monday party, has been going since 1999 and revolutionised underground, hedonistic clubbing. Wednesday’s for Paradise, delivers a true authentic underground experience. 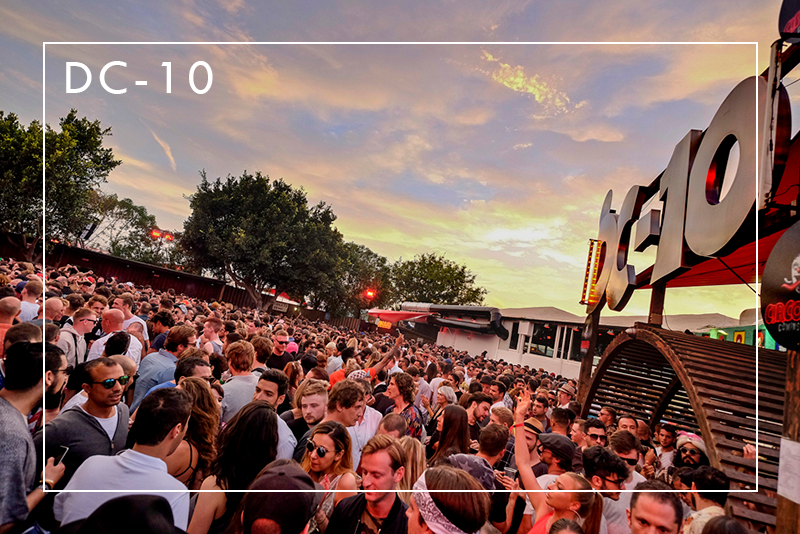 If music is your culture, then DC10 will be your new place of worship. 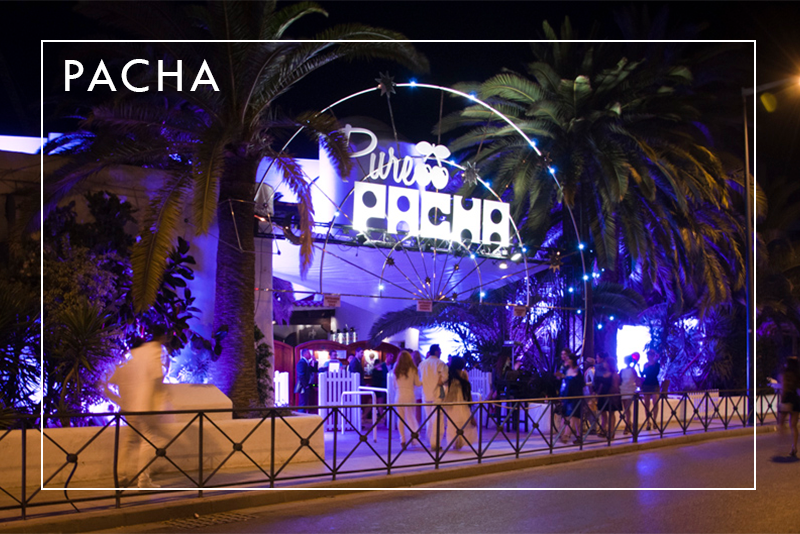 You cannot come to Ibiza and not experience the iconic club that is Pacha. Home to Flower Power and Solomon! It is the playground to the rich and famous, with VIP tables and being home to some of the world’s biggest DJs, it is an attraction not to be missed. Pop your Pacha cherry. Ibiza 2017 promises to be the biggest in recent years for the newly refurbished super club. The state-of-the-art sound system will be put through its places by some of the biggest club brands around, as Defected In The House, Mansion, Audio Rehab, Taste The Punch and Pukka Up all pledge their allegiance to San Antonio’s most popular venue.. 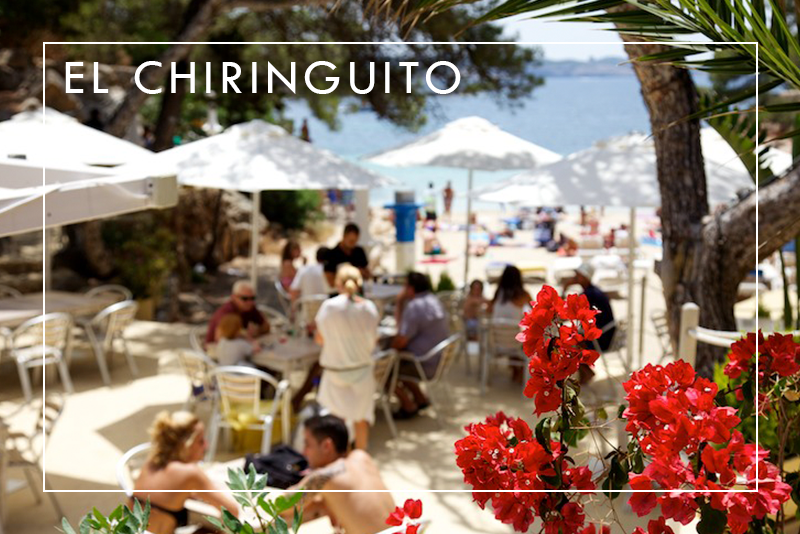 Settled away, is the picturesque beach restaurant, El Chiringuito Gracioneta. This venue is full of charm and character, with an intimate atmosphere. With both a Spanish and Mediterranean menu it is known for delicious fish and seafood dishes, as well as amazing paella. Due to it’s beautiful location, it is very popular as a wedding venue too. 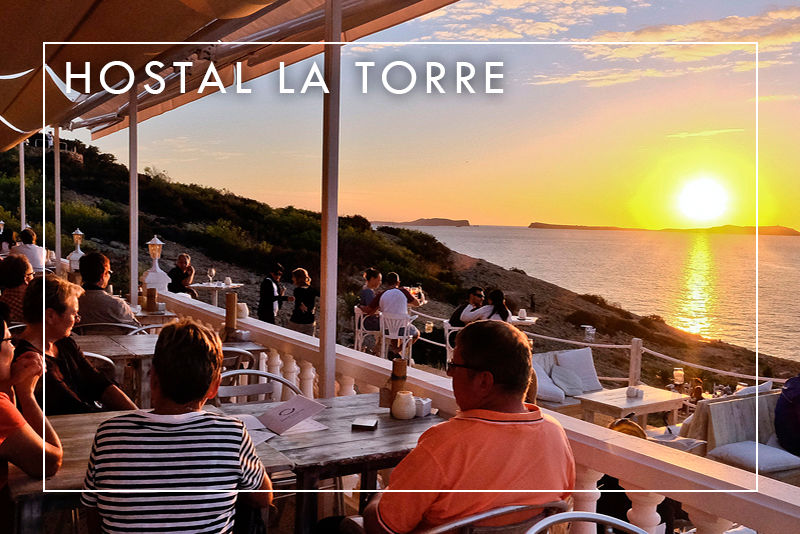 Enjoy a glass of wine, relax and enjoy the magical Ibiza sunset. 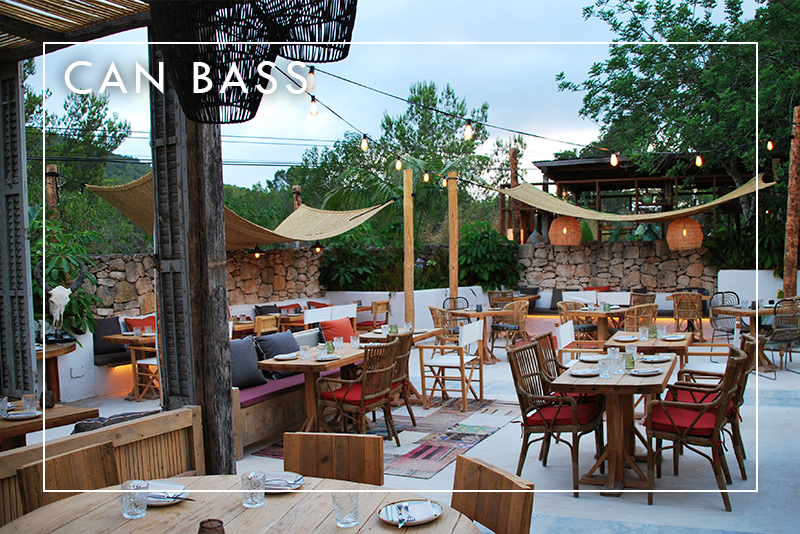 With appetising tapas plates, flavorsome salads and a cocktail selection to keep you there all evening, it really is one place you have to visit. Also open for breakfast and lunch, you can experience this venue whatever time of day and appreciate the true beauty of Hostal La Torre. The setting of this restaurant is stunning. Just off the main road from San Antonio to San Jose, as soon as you walk inside, you would have no idea you are roadside. You are completely hidden away into the hillside, and as well as the main restaurant seating, there is a terrace and chill out area too. High quality service and divine food, it is one of our favourites – the made to order sushi and meat dishes are recommended. This Rooftop Bar is a great place to enjoy a cocktail or two, whilst being hosted by the Ibiza Rocks Mixologist team. The newly renovated pool area offers both loungers and Bali beds, so you can wind down and sunbathe, with amazing views of the beach and sea. Sunbathe by this beautiful pool, or book yourself in for a treatment at Destino in Talamanca’s Wellness Centre, or even try out one of their yoga classes. 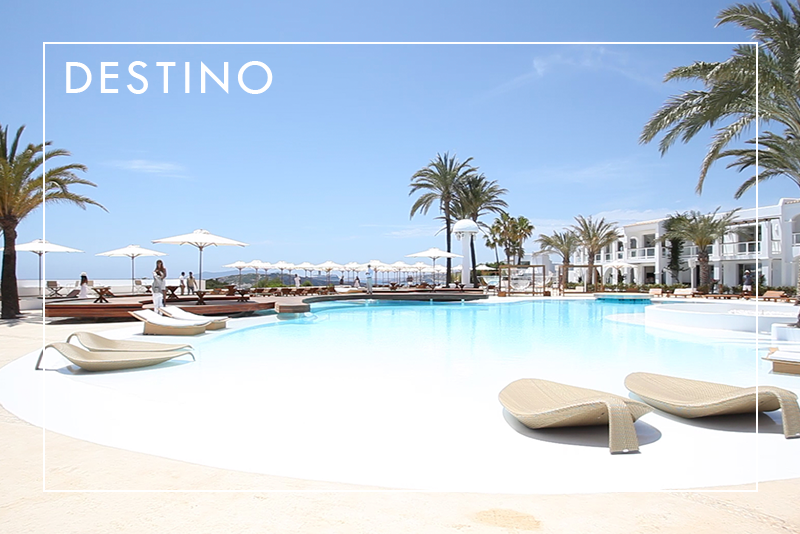 Destino is a luxury resort, with incredible views of the Mediterranean Sea, Dalt Villa and Formentera. 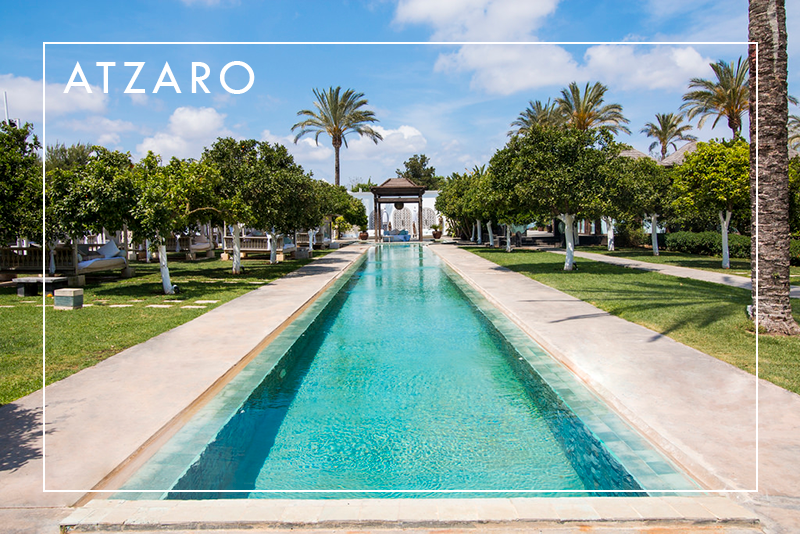 If you want to totally escape and indulge in nature whilst you are in Ibiza, Atzaro in Santa Eulalia is the place to go. Book in for a spa treatment, then relax by the pool on one of the luxury beds, surrounded by beautiful Orange and Palm trees. 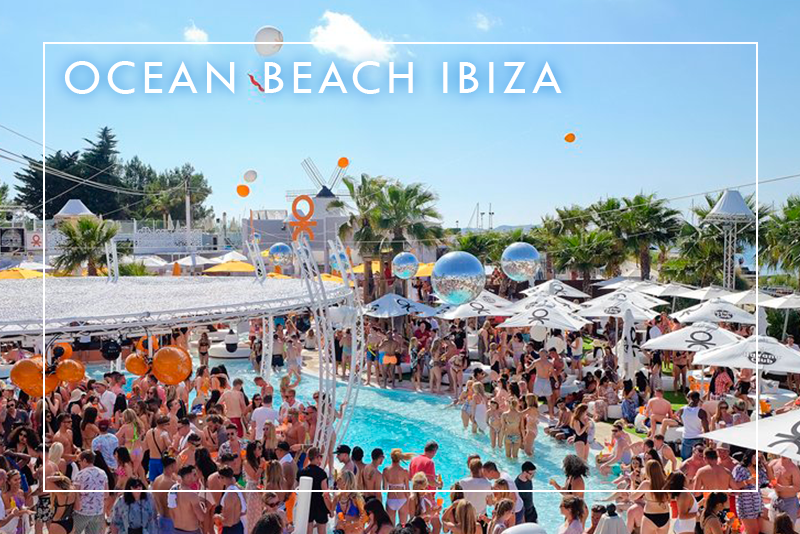 And finally, the venue that covers all three and more… O BEACH IBIZA! Want the best of all three worlds? 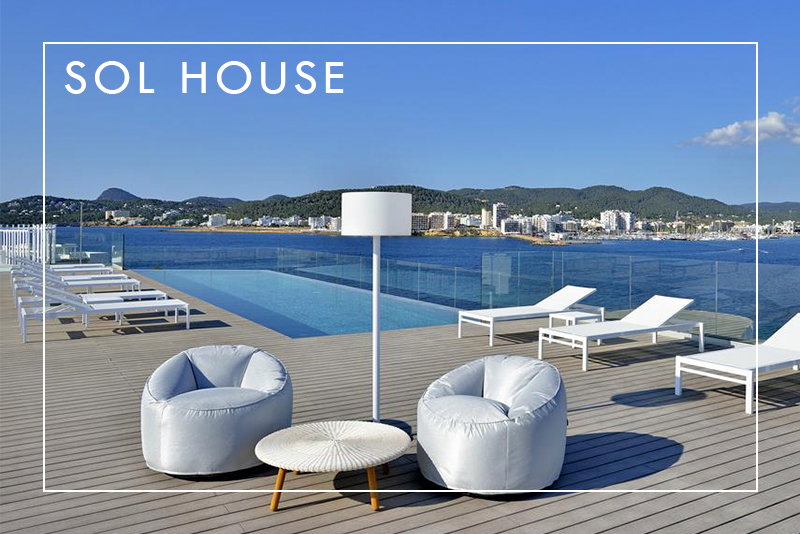 O Beach Ibiza has it all. We are proud to offer something for everyone from the Sunset Terrace where you can chill out in a jacuzzi with friends, or party into the night with our Resident DJ’s, special guests and entertainment, not forgetting to dine in the restaurant – our new Rainbow sushi is perfect for Instagram.